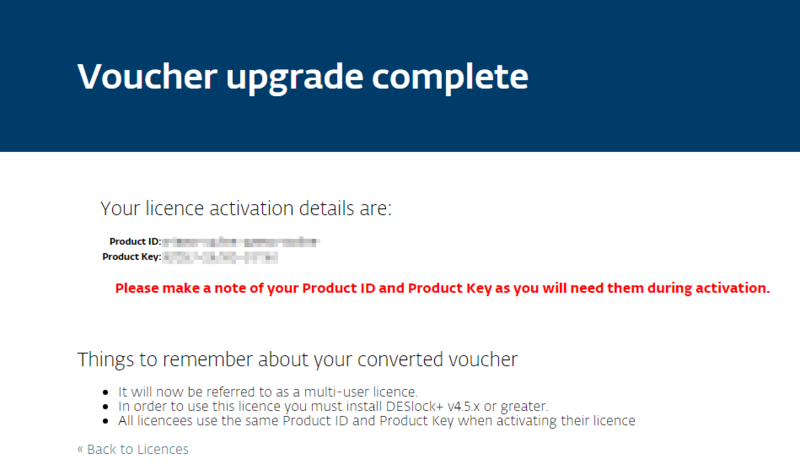 To get a Product ID and Product Key, you will need to upgrade your current licence. You can upgrade your old licence type to a new licence type by logging into your account on the DESlock.com website. Once logged in, you will land on the 'Licences' page which will depict all the licences associated with you. Next to the expiry date of your licences, you will see an 'Upgrade' hyperlink as shown cirlced below. Click the 'Upgrade' hyperlink and you will be presented with the following page. 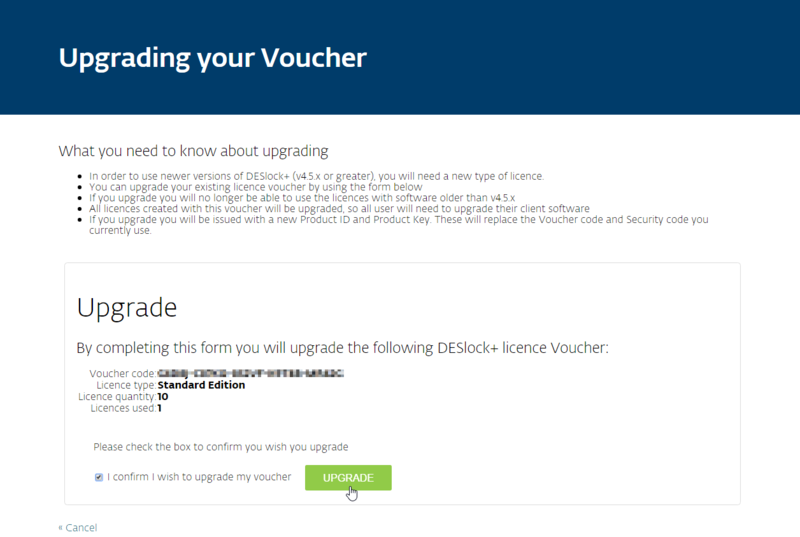 Check the box next to 'I confirm I wish to upgrade my voucher' and click the 'Upgrade' button. You will now be presented with the following page. As detailed you will need to make a note of your Product ID and Product Key. Most importantly your Product Key as this is the only time it will be displayed, however you new Product ID will be displayed on your Licences page when you log into your account on the DESlock.com website.